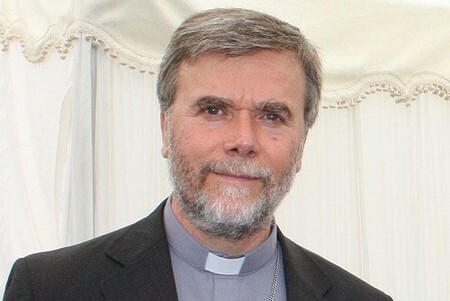 Auxiliary Bishop Pedro Ossandon Buljevic of Santiago de Chile endorsed the See Judge Act method as a tool for the new evangelisation in an address to the Synod of Bishops in Rome last week. “How can we propose the Biblical animation of life in the Spirit?” Bishop Buljevic asked. People must learn “to permanently discern the signs of the times, according to the Holy Spirit in the service of the Kingdom of God,” explained. The Church must promote “the encounter with Christ, from the Trinitarian spirituality of communion, in the discernment in the Spirit,” Bishop Buljevic said, referring to the see-judge-act method as outlined in the Aparecida Document adopted by the Latin American bishops in 2007. In another address to the Synod, former YCS member and President of the Pontifical Council for Justice & Peace, Cardinal Peter Turkson took up Blessed John Paul II’s description of the Catholic Social Teaching as “an instrument of evangelisation”. Quoting Blessed John XXIII’s Cardijn-inspired ncyclical Mater et Magister, Cardinal Turkson said that “it is not enough merely to formulate a social doctrine. It must be translated into reality”. “Evangelization would not be complete if it did not take account of the unceasing interplay of the Gospel and of man’s concrete life, both personal and social,” Cardinal Turkson continued. Cardinal Turkson’s presentation followed a wave of interventions by the Latin American bishops who brought with them a strong focus on the reality of poverty in their continent and the outcome document from the last meeting of Latin American Bishop in Aparecida (available at www.celam.org/aparecida.php ),” noted IYCS Secretary General Devett O’Brien.